Maroubra Veterinary Hospital is an independently owned and operated practice of veterinary professionals lead by owner and Principal veterinarian Dr Adam Gordon. Our practice provides professional treatments in a caring environment for your pet. We are a full service, well-equipped veterinary hospital committed to providing your pet with the best possible care. Our team of veterinarians are continually undergoing continuing education and professional development, which ensures we keep abreast of emerging technologies and current trends as well as the latest in diagnostic and medical management of disease in companion animals. This enables us to provide the highest standards of care and veterinary services for your pet. Maroubra Veterinary Hospital is also part of the University of Sydney Faculty of Veterinary Science Partners in Veterinary Education Program and is an approved training facility for veterinary students. Our hospital is well equipped with the most up to date technology and equipment that allows us to provide your pet with a timely diagnosis and treatment. Radiography is an essential tool for diagnosing many diseases and pathology. Digital radiography is a relatively new technology that offers significant advantages over traditional film radiography. Images produced by digital radiography are vastly superior to those produced by film radiography, allowing us to detect subtle abnormalities that may otherwise not be evident. Digital radiography is fast! We will have an image to look at 20 seconds after taking the x-ray. The use of digital radiography means your pet will be exposed to a decreased dose of radiation compared to if film radiography was being used. As with other digital images, your pet’s radiographs can be saved to disc, sent via email or provided to you on a memory stick or CD. 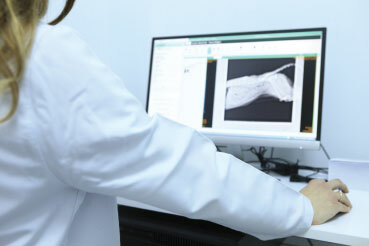 We also utilise a dedicated digital dental radiography unit. This permits excellent visualisation of tooth structure and allows diagnosis of pathology below the gum line which would otherwise be missed. Our GE Logiq® ultrasound machine is an advanced ultrasound system that has all the features required for diagnosing heart conditions, assessing abdominal organs and diagnosing pregnancy. On-site pathology laboratory means fast diagnosis for your pet, as well as timely institution of the most appropriate treatment. It also facilitates convenient ongoing monitoring of progress of hospitalised patients and allows us to make appropriate changes to treatment promptly. 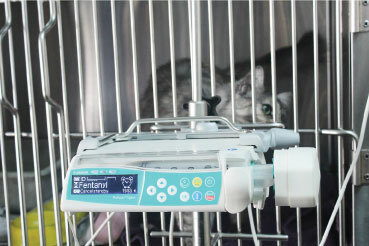 Having your pet undergo a general anaesthetic can be quite anxiety provoking. Should your pet need to have a general anaesthetic, whether it be for something as routine as desexing or a major surgery, you can rest assured that at Maroubra Veterinary Hospital we use the most up to date drugs and techniques. That’s all wonderful for your pet, but it’s not enough! No piece of equipment can replace experienced eyes, ears, touch and brains. To that end, we have an experienced and appropriately trained staff member monitoring your pet from the very start of anaesthesia right through to the recovery period when your pet is sitting up. This close post–operative monitoring also entails assessment of pain, so that if your pet is showing any signs of pain upon awakening from anaesthesia, further pain management can be administered. Low body temperature (hypothermia) is a big problem during anaesthesia and in the immediate post-operative period. 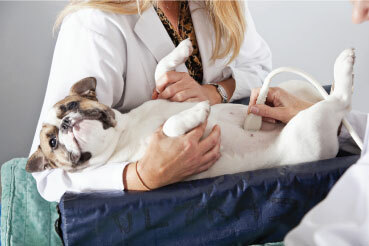 We use a device called a Bair Hugger® to help control your pet’s body temperature during and after surgery. This circulates warmed air through a blanket that is placed under and/or over your pet. They are very safe and effective. We do not use electrical heating pads. These products are in widespread use however they are dangerous, and are the number one cause of severe burns in companion animals presented to referral institutions. 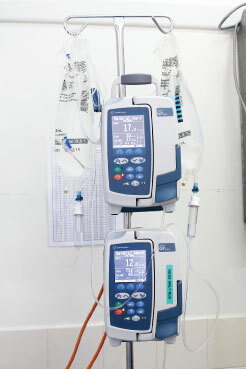 If your pet needs intravenous fluids, we use an infusion pump designed for specifically for animals. This means we have accurate control over your pet’s fluid needs, avoiding both over and under-administration of fluids. These pumps also allow us to continuously infuse medications where it needs to be done gradually and continuously, such as antibiotics, painkillers and anti-nausea drugs. All fees are due at the time of consultation, or in the case of hospitalised pets, at the time of discharge. With the exception of fees for desexing, consultation and vaccination, we are unable to provide quotations for procedures over the phone unless we have seen your pet within the last four weeks. Animal Care – To provide the highest possible standard of care for our patients; to treat them humanely and with compassion at all times; to provide them with the same pain management a person would receive in the same circumstances; and above all to remember that the welfare of the patient is our primary concern. Client Care – To listen to our clients and understand their needs; to foster the special bond that exists between the owner and the pet; to project our caring attitude to owners; and to educate our clients so that they can make informed choices about the care that their pet receives. Maroubra Veterinary Hospital is part of the University of Sydney Faculty of Veterinary Science ‘Partner in Veterinary Education’ programme which contributes to the training of veterinary undergraduates. Sunday 9.00am – 12.00pm, and 4.00pm – 6.00pm. We are closed on all public holidays. Our hospital is comprehensively equipped to provide the highest standards of care for your pet. Full range of veterinary services using the most up to date technology and equipment.